The importance of early diagnosis of compartment syndrome in patients with bleeding disorders and appropriate treament options. Department of Orthopedics, Temple University Hospital, United States. Department of Orthopedics, Drexel University College of Medicine, Hahnemann University Hospital, United States. 245 N. 15th Street, Mail Stop #420, Philadelphia, PA 19102, USA. Introduction: Compartment syndrome is a serious condition characterized by compartmental pressures within 20 mmHg of diastolic blood pressure, or clinical signs of pain, paresthesia, pallor, and lack of pulses. Often a surgical intervention is necessary. Increased surveillance for compartment syndrome is important when a patient with a bleeding disorder sustains a traumatic injury. 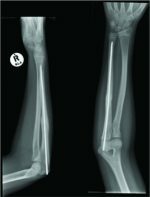 Case Report: We present a case of forearm compartment syndrome in a patient with mild hemophilia B who sustained an olecranon fracture. 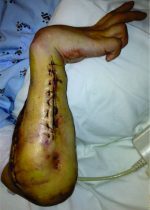 The patient received factor replacement and he underwent emergent forearm fasciotomies to avoid muscle necrosis. Over the subsequent week, the patient returned to the operating room 3 times for repeat irrigation and debridements, partial wound closure, open reduction internal fixation of his olecranon fracture and eventual skin grafting of the volar forearm wound. Conclusion: Failure to recognize compartment syndrome in even mild forms of hemophilia may result in loss of function, neurologic deficits, and limb amputations. The management of acute compartment syndrome in patients with hemophilia requires timely recognition, replacement of clotting factors, and emergent fasciotomies. Keywords: Compartment syndrome, trauma, orthopedics. Compartment syndrome is a serious condition that must be treated emergently. Trauma resulting in hematoma and edema can lead to irreversible tissue necrosis within 6 h . Surgical intervention is necessary when compartment pressures are within 20 mmHg of the diastolic blood pressure (i.e., delta p≤20 mmHg) or there are clinical signs of pain out of proportion to the injury, paresthesia, pallor, and lack of pulses . Acute compartment syndrome (ACS)  occurs when local soft tissue destruction leads to edema and bleeding, resulting in increased osseo facial compartment pressures  which can result in ischemia and necrosis of muscles and nerves unless the compartments are released emergently. Increased surveillance for compartment syndrome is important when a patient with a bleeding disorder sustains a traumatic injury. Lancourt et al. followed 200 patients with hemophilia, 34 of whom sustained an injury to the hand or forearm . Six of these patients subsequently developed ACS . The patient in our case had hemophilia B, a rare X-linked genetic disorder, characterized by factor IX deficiency . 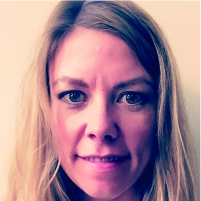 To date, over 2,100 mutations have been found on the factor IX gene, and most cases of mild hemophilia B are due to missense point mutations; however, over 1/3 of cases are due to spontaneous mutations . Close to 20,000 males are thought to have hemophilia, 1/5 of these due to hemophilia B . Bleeding disorders must be diagnosed promptly when compartment syndrome is suspected in low energy fractures, and clotting factors must be replaced to avoid fasciotomy. A 40 years old right hand dominant male with hemophilia B and HIV presented to the emergency department at our institution 2 h after falling-off of his bicycle and sustaining an injury to his right elbow. The patient was diagnosed with Hemophilia B several years earlier when he experienced increased bleeding following a routine tooth extraction. He was informed by his hematologist that his factor IX level was 10% of normal, representing a mild form of the disease. Physical examination demonstrated a healthy male with moderate pain and swelling over his right elbow and forearm. All forearm compartments were soft and easily compressible. Radial and ulnar pulses were normal, and the patient reported no paresthesia, hypoesthesia, or pain with passive stretch of his fingers. X-rays of his right elbow demonstrated a transverse olecranon fracture (Fig. 1). Hematology-oncology was consulted in the emergency room. The patient did not receive any replacement factors, as it was not deemed necessary at the time. His pain improved with intravenous hydromorphone. He was placed in a splint in 30°C of flexion and educated on the signs and symptoms of compartment syndrome. We stressed the importance of returning to the ED immediately if these signs presented. He was prescribed oxycodone/Tylenol 5/325 mg for pain control and discharged with instructions to follow-up in the outpatient orthopedic office in 1 week to schedule surgery. The patient returned to the emergency department 6 h later in excruciating pain. Physical examination demonstrated pain that was out of proportion to the injury and increased swelling over his elbow and proximal forearm. Passive motion of the wrist and fingers produced extreme pain. Compartment pressures were measured using a Stryker intracompartmental pressure monitor (Kalamazoo, MI), which demonstrated the following pressures: Volar 62 mmHg, dorsal 33 mmHg, and mobile wad 28 mmHg. His diastolic blood pressure at the time was found to be 72 mmHg. A decision was, therefore, made to proceed with emergent forearm fasciotomies. Laboratory findings at the time included hemoglobin: 14.4 g/dL; hematocrit: 44.2%; factor IX: 29 units (normal 50-150 units). Hematology was consulted, and the patient received Novo 7, recombinant factor VII (90 mg/kg), 30 min before the procedure. Intraoperatively, a carpal tunnel release was performed followed by release of both the superficial and deep volar compartments of the forearm using an extensile Henry’s approach to the forearm (single incision from the antecubital fossa to the mid palm). The superficial compartment was released first, followed by the deep compartment. 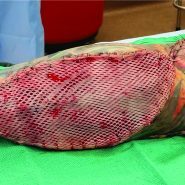 A large hematoma was found in the volar compartment and the muscle belly of the flexor digitorum superficialis appeared “dusky.” A superficial debridement was performed, and the remainder of the muscle appeared healthy. All other muscles in the volar compartment appeared healthy with normal color, consistency, and contractility. The dorsal compartment and mobile wad were released through a dorsal incision. All muscles appeared healthy and had normal consistency and contractility. Separate wound vacuum assisted closure sponges were placed over both wounds and vessel loops were attached to the skin edges in a crisscross fashion over the sponge to prevent retraction. In the subsequent 6 days, the patient returned to the operating room on three separate occasions for repeat irrigation and debridement and partial wound closure (dorsal fasciotomy wound), open reduction and internal fixation of his olecranon fracture (Fig. 2), and split thickness skin grafting of his volar forearm wound (Fig. 3). At 6 months follow-up, the patient had well-healed incisions and a well-healed skin graft site on his volar forearm. Active elbow range of motion was from 15° to 130° with no pain. He also had full, painless pronation and supination. Radiographs demonstrated a completely healed olecranon fracture. Compartment syndrome is a serious condition that must be treated emergently. Trauma resulting in hematoma and edema can lead to irreversible tissue necrosis within 6 h . When compartment pressures reach 30 mmHg, or clinical signs of pain, paresthesia, pallor, and lack of pulses present, surgical intervention is necessary . We present a case of patient with mild hemophilia B who developed forearm compartment syndrome after sustaining an olecranon fracture. To our knowledge, there are no previous reports in the literature describing the development of compartment syndrome after this type of injury; however, compartment syndrome associated with other types of minor trauma in hemophiliacs has been described in the orthopedic literature (Table 1). Jones et al., presented a case of a 25-year-old male who sustained a right thigh contusion playing soccer . Despite having severe pain and decreased knee flexion, x-rays ruled out a femur fracture, and he was discharged with nonsteroidal anti-inflammatory drugs, crutches, and no further instructions for follow-up. He presented to clinic 5 days later with an extremely swollen thigh. A computed tomography scan demonstrated a 2.7 L hematoma, which required immediate fasciotomy. Prolonged bleeding after the operation prompted a blood analysis, which demonstrated that the patient had mild hemophilia B, with a factor IX concentration 27.9% of normal . In 2006, Lancourt et al. reported that of 200 hemophiliacs followed from 1969 to 1976, 10 developed hemarthroses after trauma in the hand and wrist. Six of these cases were complicated by contracture, neuropathy or both . Replacing specific clotting factors and consulting hematology in a timely manner are factors crucial to avoiding fasciotomy. Medical treatment is aimed at replacing factors when hemophilia is recognized. These studies demonstrate that the factors should be kept at 50% -100% of normal for at least 2 weeks following fasciotomy . Mild hemophilia B, defined by factor IX levels 6-45% of normal, typically causes prolonged bleeding only after serious surgery or trauma . Most adults go undiagnosed until they experience such an event and prophylactic treatment of factor IX products are reserved for those with severe forms of the condition . Naranja et al. recommend treating patients with purified factor IX with the goal of maintaining levels at 50%-100% of normal for the perioperative period, followed by 2 weeks of maintenance at 50% . Compartment syndrome is a limb threatening emergency, which can develop following severe orthopedic injuries (e.g., tibial plateau fracture, tibial shaft fracture) in patients with no significant medical problems or following very minor trauma (e.g., thigh contusion or forearm fracture) in patients with bleeding disorders such as hemophilia. Orthopedic surgeons and emergency room physicians should be aware of the increased risk of compartment syndrome in hemophiliacs even after minor trauma and take extra precautions to diagnose patients early to prevent major complications including tissue necrosis, neurologic injuries, and limb amputations . Physicians caring for patients with hemophilia and even minor orthopedic injuries should consider admitting these patients to allow for close observation and prompt recognition and treatment of compartment syndrome, which may be more likely to develop in these patients. Compartment syndrome is a rare condition; however, it is critical that physicians are taking care of patients sustaining minor or major traumatic injuries be aware of the signs and symptoms of this condition. 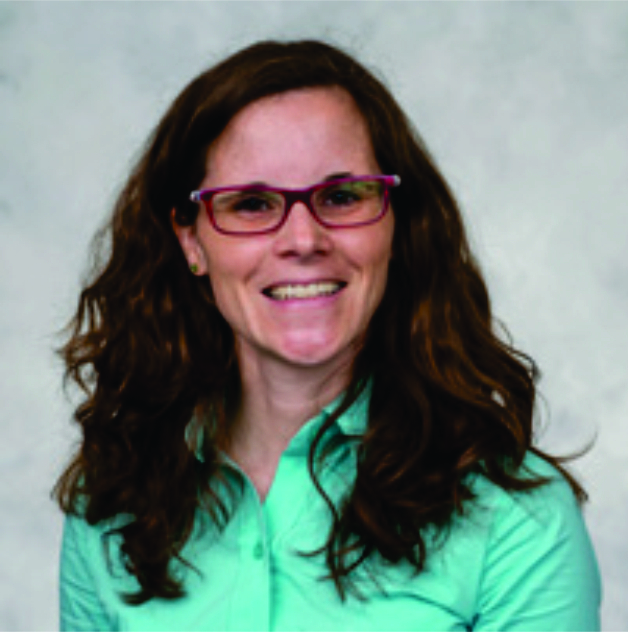 Bleeding disorders are an important risk factor to consider, and in such cases, orthopedic surgeons should have a heightened sense of awareness for potential development of this condition. Early recognition, factor replacement, and treatment with fasciotomies, if warranted, are paramount to obtaining a successful outcome. All patients gave the informed consent prior being included into the study. All procedures involving human participants were in accordance with the 1964 Helsinki declaration and its later amendments. The study was approved by the Research Ethics Committee (or Institutional Review Board). A thorough history and physical is paramount to establishing the diagnosis of ACS. Patients with a history of bleeding disorder must be monitored closely, even after only minor trauma to prevent muscle necrosis and loss of function after missed compartment syndrome. 1. Chandraprakasam T, Kumar RA. Acute compartment syndrome of forearm and hand. Indian J Plast Surg 2011;44(2):212-218. 2. Bolton-Maggs PH, Pasi KJ. Haemophilias A and B. Lancet 2003;361(9731):1801-1809. 3. Lancourt JE, Gilbert MS, Posner MA. Management of bleeding and associated complications of hemophilia in the hand and forearm. J Bone Joint Surg Am 1977;59(4):451-60. 4. Jentzsch T, Brand-Staufer B, Schäfer FP, Wanner GA, Simmen HP. Illustrated operative management of spontaneous bleeding and compartment syndrome of the lower extremity in a patient with acquired hemophilia A: A case report. J Med Case Rep 2014;8:132. 5. Naranja RJ Jr, Chan PS, High K, Esterhai JL Jr, Heppenstall RB. 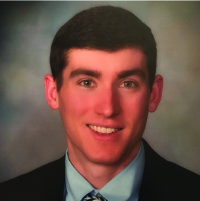 Treatment of considerations in patients with compartment syndrome and an inherited bleeding disorder. Orthopedics 1997;20(8):706-709. 6. Jones G, Thompson K, Johnson M. Acute compartment syndrome after minor trauma in a patient with undiagnosed mild haemophilia B. Lancet 2013;382(9905):1678. 7. Kim J, Zelken J, Sacks JM. Case report spontaneous forearm compartment syndrome in a boy with hemophilia A: A therapeutic dilemma. Eplasty 2013;13:e16. 8. Rodriguez-Merchan EC. Acute compartment syndrome in haemophilia. Blood Coagul Fibrinolysis 2013;24(7):677-682. 9. Niblock A, Donnelly K, Sayers F, Winter P, Benson G. Avoidable compartment syndrome! High index of suspicion for a newly presenting haemophiliac: A case series. Case Rep Emerg Med 2016;2016:3263261. 10. Watts RG. Successful use of recombinant factor VII-a for emergency fasciotomy in a patient with hemophilia A and high-titer inhibitor unresponsive to factor VIII inhibitor bypassing activity. Am J Hematol 2005;79(1):58-60.